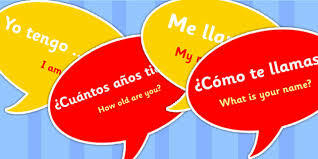 Here is a short list of phrases that every beginning Spanish learner should know. Let’s get to it. One of the biggest challenges you’ll face as a beginner is understanding what’s being said to you, because everything sounds like one huge run-on sentence. You might actually understand what’s being said to you if they just didn’t talk so fast. Well, here are a few phrases to help you with that. ¿Puede hablar más despacio por favor? You can actually whittle that down even more. Now that we’ve asked our Spanish speaking friend to slow down, you may need to ask them to repeat what they said. Sadly, sometimes you just can’t figure out what’s being said. Who knows, you may get lucky. Here are a couple of other phrases that might come in handy. You can also combine these phrases. Here are some examples. No entiendo, ¿puede hablar más despacio por favor? I don’t understand, can you speak more slowly please? No hablo español muy bien, ¿puede hablar más despacio? I don’t speak Spanish very well, could you speak slower? I don’t understand, do you speak English? And that’s it. There’s no doubt that one or more of these phrases will come in handy at some point, so be sure to practice them. Learning a phrase is one thing, saying it out loud is another. Today’s phrase is just one of many that you’ll need when traveling or talking to your Spanish speaking friends. You can get the My Spanish Phrasebook app which contains over 1900+ useful phrases for travel, conversation and everyday situations.